P2P group has released the updated version of “EaseUS Partition Master”. Description: EaseUS Partition Master has been a go-to recommendation for a powerful yet easy-to-use disk management utility that just happens to be free. A familiar layout with disk map plus a full User Manual and lots of Help resources make for a great start. Partition Master Free can format, copy, resize, move, and manage disk partitions as proficiently as its premium competitors. It supports removable drives and hardware RAID, too. 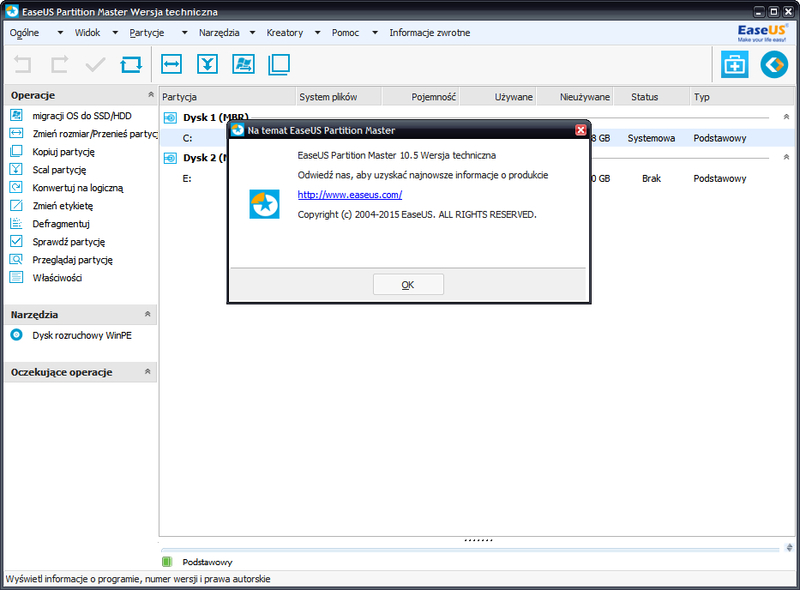 Feel free to post your EaseUS Partition Master v10.5 Multi Language Incl. Reg Key – P2P torrent, subtitles, samples, free download, quality, NFO, rapidshare, depositfiles, uploaded.net, rapidgator, filefactory, netload, crack, serial, keygen, requirements or whatever-related comments here. Don't be rude (permban), use only English, don't go offtopic and read FAQ before asking a question. Owners of this website aren't responsible for content of comments.